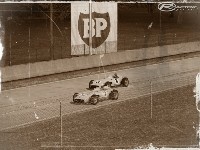 Team Players would like to announce that we are releasing our 55F1 mod for your enjoyment. Some of you may have noticed that we have been very quiet about this mod over the last couple of months, the reason is that we have given AutoSimSport Magazine the "scoop" on announcing the 55 mod in this months issue. Thanks guys we really appreciate it. Since so many of you have been waiting patiently for the release of this mod we decided to do something a bit different. We will be releasing each car as an add-on to the mod as we complete them. Since we have worked for over 2 years on the Mercedes W196 we thought it would be nice to let you enjoy what we have done so far. We will continue working on the other cars and when they are complete we will make the updates so you can build the mod as we progress with each car. The Mercedes Benz W196 was a very successful German car created in 1954 and run in that year and in 1955. 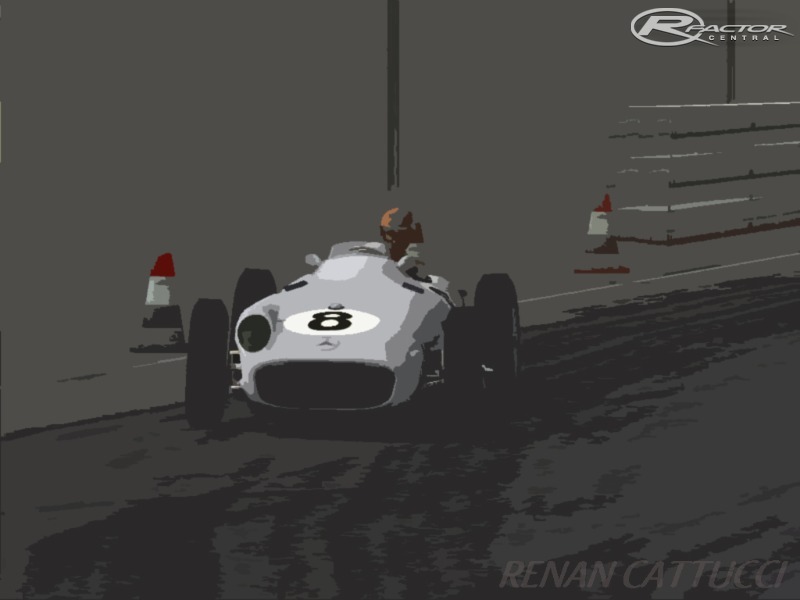 The MB W196 won the World Title in 54 and 55 but after the fatal crash at Le Mans that killed driver Pierre Levegh and 80 spectators Mercedes withdrew from auto racing for the next 30 years. 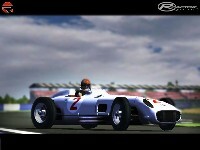 We have tried to re-create the Mercedes to the best of our abilities by using as much real data as possible. Mark has done a spectacular job of creating the physics with the help from a lot of different people. 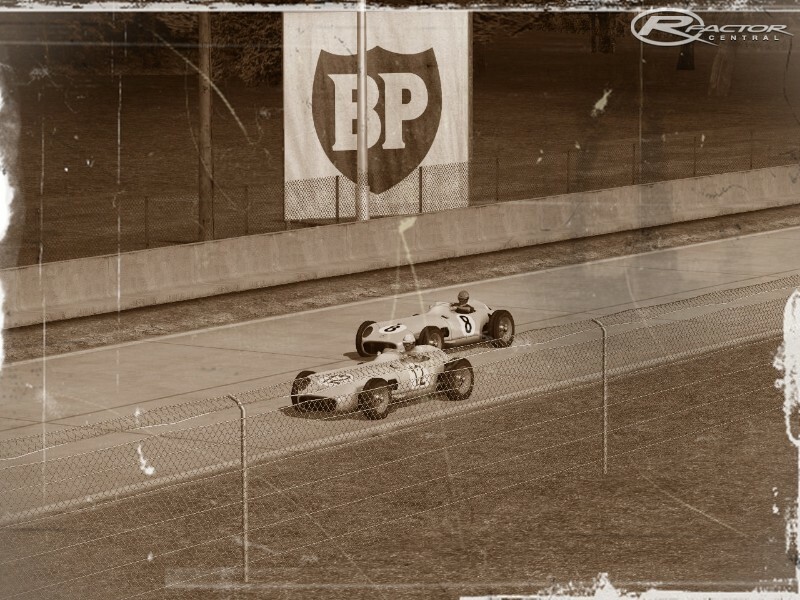 The one place we did compromise on was the tire physics, we have included tires that we believe have a bit more grip than the real tires in 1955. The increase in grip is small (<10%) but was included to the car more enjoyable to drive initially. 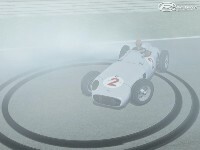 Grip levels will be made more realistic in an update to W196 as other cars are released. There are two tire options, when you first load the Mercedes up you will get the Continental 55 tires, but you can select the Continental_B tires which will be a little more forgiving. We have included a lot of accurate features to the Mercedes like the actual drivers faces, accurate paint jobs depicting specific paint jobs from different tracks and correct car numbers. Driver and car info as well as accurate tire graphics. We have also created some new features in rFactor, we have created a new leaning driver and a actual moving shifter to show you what gear you are in. If you can refrain from using the hud display, virtual mirrors or outside views your driving experience will be as close to what you would get in 1955. -All driving helpers turned off. We have optimized the model and lod's to get the best framerates possible and have made the car look the same in all DX mods. We have done this so you can keep the detail level on Full to get the best resolution you can with this mod. If you find your framerates are lower than you expect, try dropping down to the next DX level rather than turning details down. I found about a 100% increase in FPS in DX7 than DX9 without changing any detail settings so the mod looked exactly the same (of course some tracks will vary by changing DX modes). Mark has created a very detailed document on how he created the physics which we have included in the mod's zip file so please don't forget to check it out, it will show you just how much time and detail went into the physics for this mod. You will also find a new showroom that we have made just for the 55 mod as well as new sounds for the mod that take the place of the normal "music" so please turn on your sounds so you can enjoy the ambiance we have created to take you back to 1955. We would like to thank a number of people that have contributed to this mod in technical data photographs and suggestions. Special thanks to the beta testers that helped and gave us feedback over the last 2 years. We hope you enjoy this mod and like the idea of building the complete mod as we progress. If you have any questions or comments feel free to stop by our forum. Thank you for your support, from all of us at Team Players.